The Michelin Pilot Sport Cup2 R is a bespoke high performance tyre developed in conjunction with the most prestigious car manufacturers, such as Porsche and Ferrari, to meet the needs of experienced drivers in ultra-high performance cars who are looking for the ultimate performance during track days. 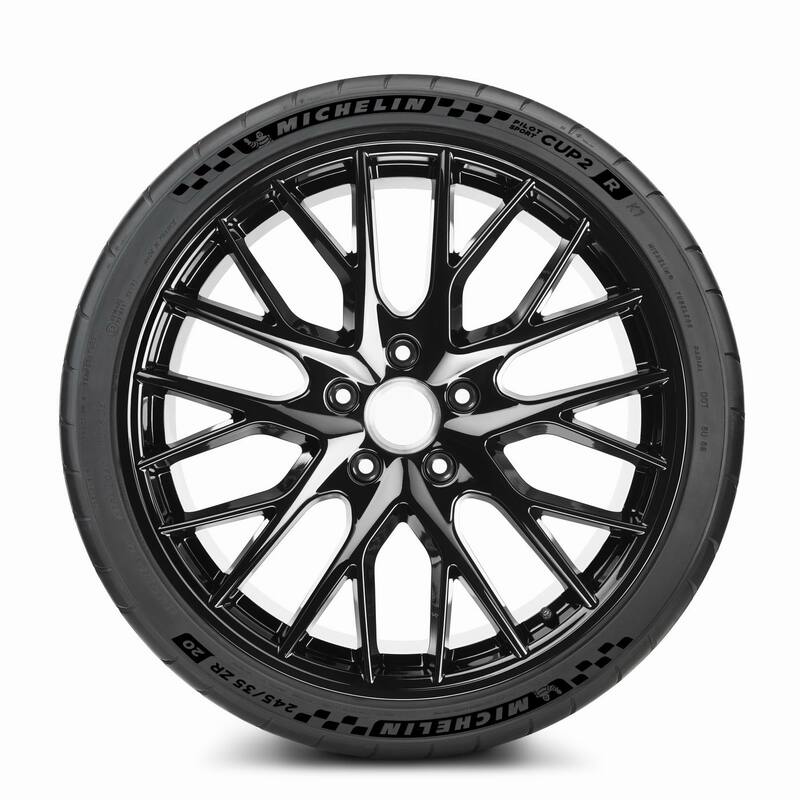 Homologated for use on the road, the Michelin Pilot Sport Cup2 R maximizes the grip on dry circuits and delivers very high grip levels, making it possible for the drivers to attack corners at very high speeds. Tests carried out on a circuit by Michelin with different vehicle manufacturers show an average increase of 0.5 sec/km using this new tyre. In the last two years the Porsche GT2 RS and GT3 RS have set 3 new record drives on the legendary Nordschleife of the Nürburgring, and all three cars were fitted with Michelin Pilot Sport Cup2 R tyres. To achieve this performance with the Michelin Pilot Sport Cup2 R, Michelin engineers have used tread compounds taken from the Motorsport Department. 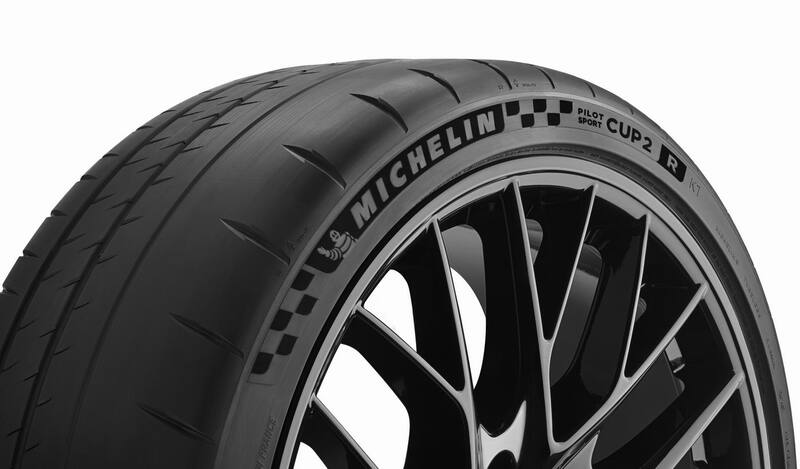 The new tyre tread of the Michelin Pilot Sport Cup2 R is specially made for dry track conditions. The number of tread blocks on the outer shoulder of the tyre has been reduced, and the central grooves are now closer together. This makes the tread blocks more rigid so that they can withstand the higher grip forces and improve driving precision. Ultimately the size of the tyre’s contact patch has increased by nearly 10%. The Michelin Pilot Sport Cup2 R thus makes it possible to fully use the power and potential of these ultra-high performance cars. For all tyres developed by Michelin in cooperation with Ferrari, driving simulators from both companies have played an important part in the tyre design and development. Ferrari's test drivers worked alongside Michelin's engineers on Michelin TameTire. This software, which was developed by Michelin, simulates and models tyre behaviour and enables the drivers to test the tyre virtually before running tests on a real circuit. 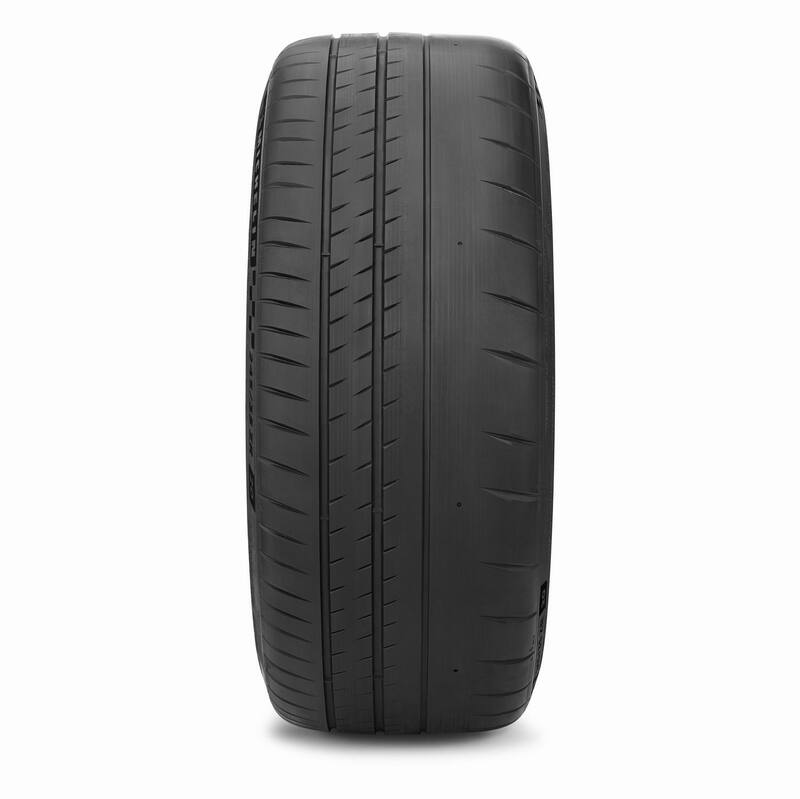 * The marking K1 indicates that this Michelin tyre was specifically developed for Ferrari. Homologations are under way with other manufactures like Mercedes-AMG.